Posted in Misc and tagged Brexit, Forty Foot, Sky News at 4:57 pm on February 8, 2019 by Bodger. On July 11th 2017, the Irish government gave consent to Providence Resources to begin drilling for oil and gas in the Porcupine Basin off the south-west coast of Ireland. The same company are now preparing for a submission for a licence which will allow them to start drilling in the Kish Bank of Dublin Bay, barely kilometres away from The Forty Foot. This drilling would have serious effects on greenhouse gas emissions, water quality and Irish marine life. We have to stand in solidarity with our friends in Cork and Kerry to stop this rogue company before it builds up momentum and turns its oil rigs to Dublin Bay. 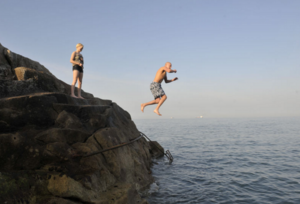 Join us on [Sunday] August 6th as we take action at the Forty Foot coinciding with action in Cork to tell our government that this is not acceptable – not here, not anywhere! Posted in Misc and tagged Forty Foot, oil and gas, Providence Resources at 11:29 am on July 31, 2017 by Broadsheet. 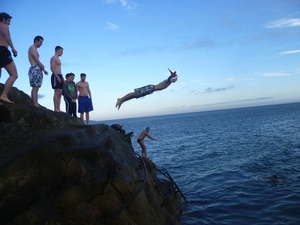 Posted in Misc and tagged Dalkey, Forty Foot at 8:20 am on May 14, 2015 by Broadsheet. Posted in Misc and tagged Forty Foot, Sure Where Would You get It? at 7:21 pm on July 24, 2014 by Broadsheet. 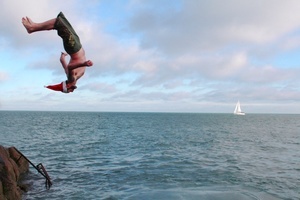 Slo-mo diving at the Forty Foot, Sandycove, Co Dublin yesterday. Posted in Misc and tagged Diving, Forty Foot, slo mo at 9:14 am on June 23, 2014 by Admin. 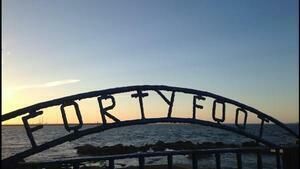 Last night at the Forty Foot, Sandycove, Co Dublin. Posted in Misc and tagged Forty Foot, Sure Where Would You get It? at 4:22 pm on June 10, 2013 by Broadsheet. 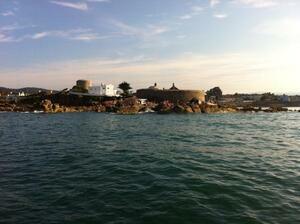 The Forty Foot bathing area, Sandycove, Co Dublin, this afternoon. 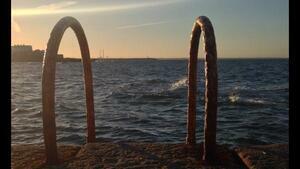 Posted in Misc and tagged Forty Foot at 9:18 pm on March 24, 2013 by Broadsheet. 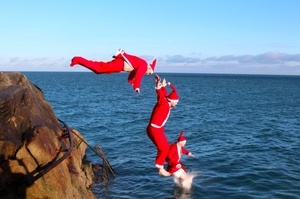 Posted in Misc and tagged Forty Foot at 5:45 pm on December 26, 2012 by Ewok. Hopefully you haven’t exceeded your 4o Foot related posts but here is a photography project I did yesterday at the 40 foot. Hopefully you will find it a little different. Posted in Misc and tagged Forty Foot at 3:59 pm on December 26, 2012 by Ewok. 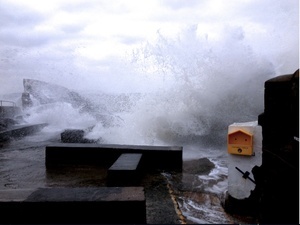 Craig Kenny at the 40ft, Sandycove. 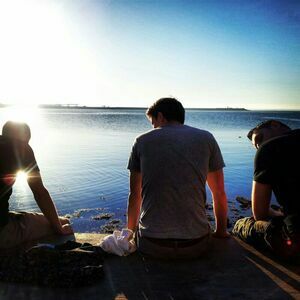 Co Dublin, earlier. Posted in Misc and tagged Forty Foot at 6:24 pm on December 25, 2012 by Ewok.